With the increased adoption of digital devices, enhanced visualization is a necessity today. Our solution delivers a seamless omni-channel experience, to deliver the best customer experience. 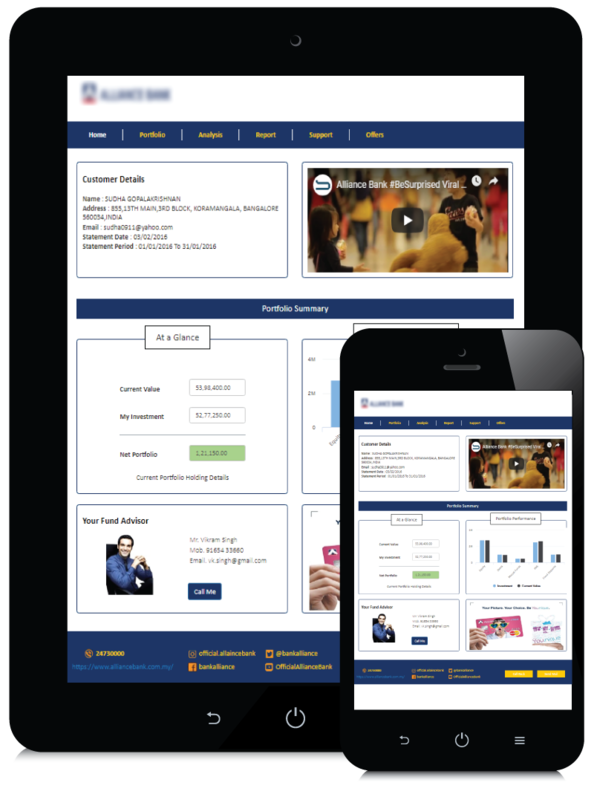 Interact DX is an advanced customer communication product suite that enables you to curate and create all forms of communication that can be delivered on multiple channels - print, email, mobile, web, social media. Interact AV provides audio video technology to generate real-time personalized video messages based on customer profiles with multilingual capabilities to improve customer engagement. SCMProFit allows to streamline and enhance logistics operations by improving efficiency and optimizing working capital. Our solution streamlines operations and delivers superior customer experience. Trusted by the world's most innovative companies. Interact DX unleashes features that go beyond meeting customer expectations. "Flexibility in the Interact Dx application made it easy to adapt to integrations with the existing HDFC ERGO application frameworks such as he online portal, core policy admin systems and document management systems." "Interact Dx's performance is excellent and we appreciate the skills and knowledge base of the team in the domain of communication such as customer statements, advices, welcome letters etc." "We needed a product that could reduce the time to market by empowering business managers to easily create content such as marketing messages, campaigns, and cross sell - up sell offers, and to control how and when this content is included in correspondence. Interact DX aligned to this expectation." "Interact DX's interactive experience has enhanced visualisation for our enterprise and retail customers with respect to their billing & customer self-service needs." "Working with one of the leading software solution provider is always been an immense pleasure. Moto behind Introducing SCMProFit in Coldrush is to conquer business process along with warehouse efficiency and visibility over an inventory from anywhere at any time. with SCMProFit expectations are to reduce delays and attained transparency in the process, getting better visibility into the current status of contract renewals and expiry, track contract compliance and utilization. We were looking for a strategic partner who would help us achieve greater efficiency and effectiveness in warehouse process and are very happy to on-board Trejhara’s SCMProFit into the process"
"It is a pleasure to work with one of the leading ERP solution provider in supply chain industry. Implementing the comprehensive and end-to-end ERP solution SCMProFit at ColdStar especially for our cold storage operations is yet another step in ColdStar’s focus on delivering quality and care to our clients cargo. We continue to push the envelope in designing new service products via proprietary knowledge and ably aided by the use of technology."